Birkirkara came back from three goals down to beat Hibernians 5-4 in a most dramatic encounter. A win which puts the Stripes once again four points clear of second-placed Valletta with two games to go. It was an action-packed game which saw the leaders score an early goal. The Paolites, who were coming from six consecutive defeats, turned the score in their favour with four goals which stunned the Stripes. 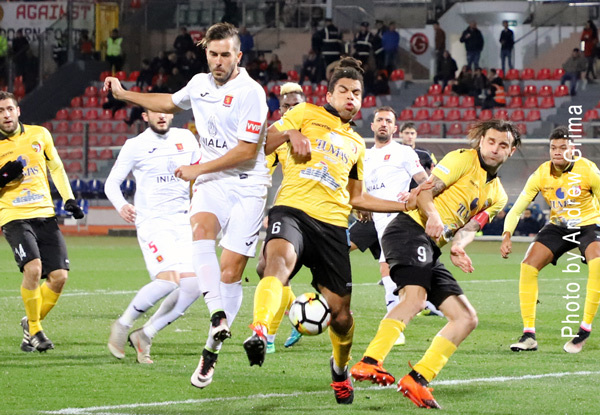 However, by the end of the first half, Birkirkara managed to reduce the gap, going on to score three times after the break to take home the three points. Hibernians lacked Miguel Lopes De Pina with Christian Callejas and Elton Morelato both starting on the bench. 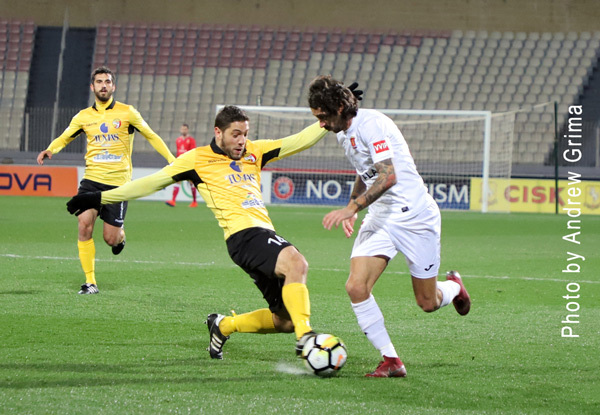 Birkirkara coach Paul Zammit, on the other hand, had the full squad at his disposal but lost Carlo Mamo injured towards the end of the first half. 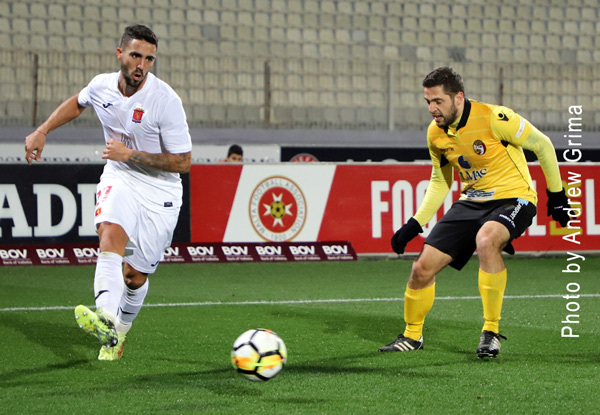 Birkirkara went close to taking the lead on the 7th when Shaun Bajada released Sylvano Comvalius on the left, the Dutch striker advanced into the area beating a defender on the run but hit high. However three minutes later, the Stripes opened the score when off a cross from the right by Shaun Bajada, Michael Galea managed to beat Mario Muscat with an angled shot from close range. In less than one minute, Birkirkara went close once again, first with a shot by Trevor Cilia following a short clearance by a defender and then with a Shaun Bajada effort when saved by Cilia from the right. Hibernians levelled matters on 14 minutes when off a freekick from the right, Jean Paul Farrugia headed the ball home with the ball hitting the upright before ending at the back of the net. A long-distance effort by Triston Caruana was deflected into a corner by Jorge Mora on the 19th. The Paolites forged ahead on 21 minutes when Triston Caruana received the ball from a short clearance and with a powerful drive from outside the area, beat the Spanish goalkeeper. Six minutes later, Hibernians made it 3-1 when Edward Herrera concluded a good run with a diagonal shot from the right which beat the Birkirkara goalkeeper. Triston Caruana made it 4-1 on the 34th minute with a perfect header following a cross from the left by Chris Camilleri which caught Jorge Mora out of place. 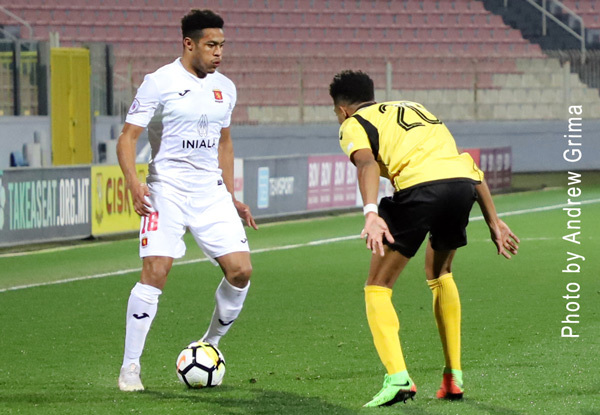 Sylvano Comvalius scored a second goal for Birkirkara on the 42nd minute when a Trevor Cilia effort hit the upright and off the rebound, the Dutch striker placed the ball at the back of the net with a shot from the left. A minute later, Michael Galea was unlucky not to score again for the Stripes but his close-range header was saved by Muscat, aided by the crossbar. In added time, Trevor Cilia, Shaun Bajada from the right, had a powerful rising shot ending just wide. One minute in the second half, Shaun Bajada scored direct from a corner from the right to make it 4-3. On 52 minutes, Michael Galea controlled the ball following a cross by Trevor Cilia from the right but hit just wide. 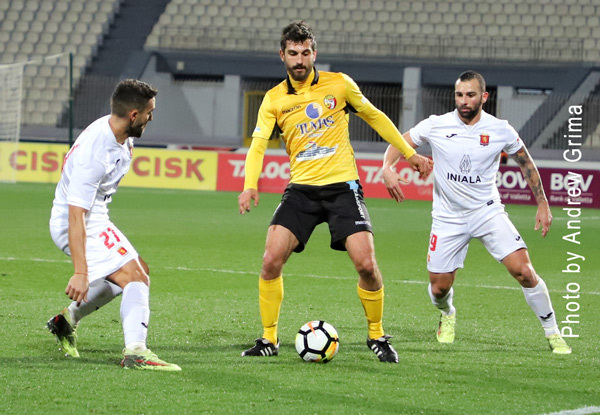 Birkirkara equalised on the 54th when Paul Fenech released Sylvano Comvalius on the left and off the latter’s cross, Michael Galea beat Mario Muscat with a diving header. 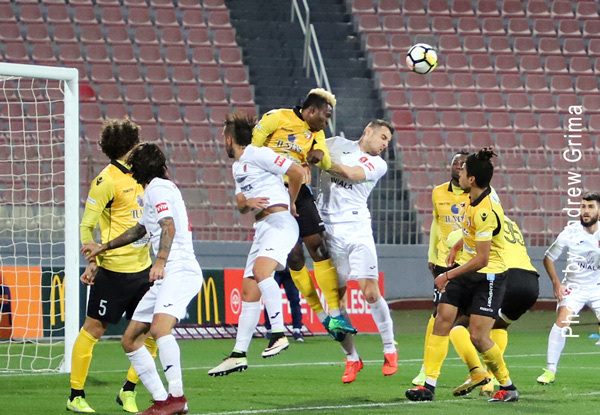 Ten minutes later, the Stripes regained the lead when Angus Buhagiar sent Trevor Cilia through on the right and the latter entered the penalty area, beating Muscat with a fine shot. Three minutes later, Rowen Muscat headed high following an inviting cross by Cilia from the right. On the other side of the pitch, Ben Camilleri served Elton Morelato whose shot from the right was neutralised by Mora. A long-distance shot by Chris Camilleri was saved by the Birkirkara goalkeeper on the 72nd minute. A cute lob by the Gozitan midfielder five minutes later just missed the target. Michael Galea was voted BOV Player of the Match. HIBS Mario Muscat, Edward Herrera, Yan Cauchi, Aaron Xuereb (55’ Elton Morelato), Jonathan Pearson, Jonathan Caruana, Chris Camilleri, Triston Caruana, Andrew Cohen (55’ Christian Callejas), Jean Paul Farrugia (62’ Rene Duca), Ben Camilleri. Subs not used: Daniel Balzan, Adrian Pulis, Dylan Sammut, Keith Tanti. B’KARA Jorge Mora, Paul Fenech, Nikola Vukanac, Branko Nisevic, Shaun Bajada (72’ Alan Tabone), Angus Buhagiar, Trevor Cilia, Rowen Muscat, Carlo Mamo (45’ Joseph Zerafa), Michael Galea, Sylvano Comvalius (81’ Karl Pulo). Subs not used: Omar Borg, Thomas Paris, Andrew Scicluna, George Mallia.